Three years ago a French farmer sued Monsanto and won, stating that the company’s pesticide product known as Lasso had poisoned him, causing neurological problems. The company appealed the court decision by taking the lawsuit to a higher French court. Just days ago, the French court upheld the original decision that Monsanto’s product Lasso poisoned the French farmer, causing his neurological concerns. While it is likely that Monsanto will appeal the court decision yet again, the victory is being celebrated by many people worldwide as one that sets a precedent for future rulings against the biotechnology giant. Monsanto no longer sells Lasso in the United States, Canada, Britain, France or Belgium, citing commercial reasons for phasing out the product in these markets. Lasso was specifically an herbicide—used to destroy weeds and grasses—marketed to farmers. In the U.S. government’s own Health and Human Services Household Products Database, Lasso is warned to cause blindness, respiratory irritation, liver damage, kidney damage, eye nerve inflammation, jaundice, bladder inflammation, the destruction of red blood cells and blood in urine, as well as other serious health effects. The U.S. government’s database is self-regulated, meaning that companies report whether their own products are toxic, and if so, in which ways. As a result, the database includes little toxicity information about its product Roundup. The database reports that Monsanto has not provided any information about any possible chronic health effects from use of or exposure to Roundup. 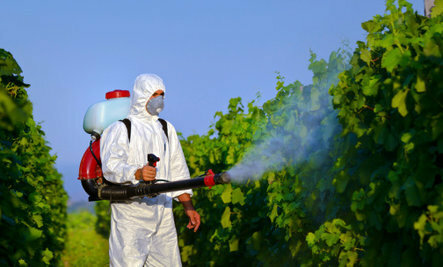 However, the company warns: “When using [Roundup] do not eat, drink or smoke. Wash hands thoroughly after handling or contact. Thoroughly clean equipment after use. Do not contaminate drains, sewers and water ways when disposing of equipment rinse water.” Yet, because the product is sprayed on soil, it finds its way into water ways and sewers. While it is not clear yet how the French farmer will be remunerated for his neurological illness that includes memory loss, stammering and headaches, Monsanto’s lawyer indicates that the company will appeal the decision again. Stay posted to find out how the lengthy lawsuits will end. I see I the article "United States, Canada, Britain, France or Belgium". Not sure what the author means. Britain (more likely Britany) is a part of France, not a separate nation. The nation is called Great Britain. At least PLEEEEASE try to get the names of countries right. Thank you. With all this poisonous sh*t around then we can't be surprised that creatures like Trump and his supporters have appeared on this planet. Very sad but not surprising. The company will say he did not follow safety instructions.